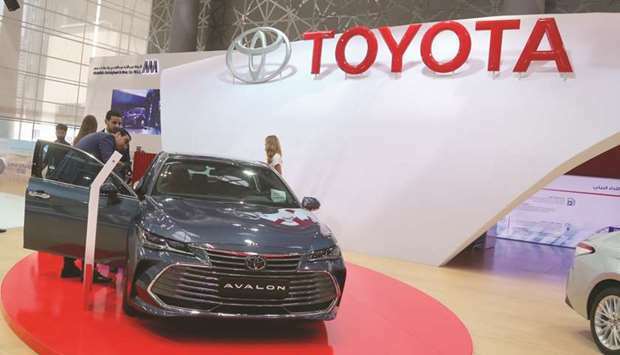 Abdullah Abdulghani & Bros Co (AAB), sole agents for Toyota vehicles in Qatar, has unveiled the all-new 2019 Avalon midsize premium sedan in the Middle East at the Qatar Motor Show, which runs until October 21 at the Doha Exhibition and Convention Centre (DECC). Delivering an authentic driving experience that harmonises with its stunning design and elegant luxury, the fifth generation of the brand’s flagship vehicle is set to redefine its class. Underpinned by a Toyota New Global Architecture (TNGA) platform and powered and enhanced by a new fuel-efficient 3.5-litre V6 engine and a host of comfort and safety features that are complimented by Toyota Safety Sense, the 2019 Toyota Avalon embodies consumers’ overarching desire for high-calibre, design-centric, and technologically-savvy modes of attainable and premium transportation. “Throughout development, we focused on the all-new Avalon being authentic and exhilarating. One of the key components in getting there was the new platform and suspension. 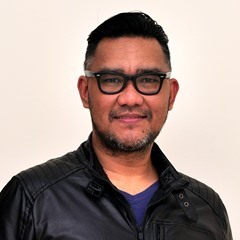 These underpinnings allow us to provide an unequalled foundation to deliver the performance that matches the styling and the technology while offering a fine blend of luxury and sportiness in the premium mid-size sedan segment. “We really focused on bringing as much innovation to Avalon as possible. On many different fronts – from ride, to handling, to technology, to safety and more – this new generation really does take the brand to the next level. It offers luxury. Now, more than ever, it has sporty performance. But mostly, it delivers an authentic driving experience. We cannot wait to put it in the hands of our customers,” said Randy Stephens, chief engineer of the 2019 Toyota Avalon. Adding to its many class-leading features, the 2019 Avalon draws upon Toyota’s New Global Architecture (TNGA) platform, which represents an entirely new strategy to the way the company designs, engineers, and packages its vehicles, providing a comfortable and stable ride with superior handling characteristics. Complementing the all-new Avalon’s daring looks is a thrilling drive personality imbued by a new 3.5-litre V6 engine, which produces a maximum output of 298hp and 356 Nm of torque and is equipped with the latest Direct Injection 4-Stroke Gasoline Engine Superior Version (D-4S) and Variable Valve Timing-intelligent Wide (VVT-iW) systems to achieve top-notch power performance, environmental performance, and fuel efficiency. Available in eight distinctive exterior colours, the all-new Avalon allows customers to express their individuality. Two newly-developed colours, Slate Gray and Blackish Brown, further express a premium feel with a sporty atmosphere.